As it turned out, none of the diplomats observed the CNRP boycott. But at least one senior diplomat attending the event made his displeasure at the flawed electoral process clear. According to two senior U.S. State Department officials, then- U.S. Ambassador William Todd paid his respects to King Norodom Sihamoni but then stepped out of the receiving line to avoid shaking hands with Prime Minister Hun Sen. The diplomatic response to the 2018 national election has been considerably more blunt. When King Sihamoni inaugurated the National Assembly earlier this month, many of the countries that begrudgingly attended the 2013 event were nowhere to be found. So what accounts for the more muscular diplomatic response this time around? Observers say the government’s bare-knuckled strategy of banning opposition parties and jailing opposition leaders ahead of the 2018 election left many diplomats with little choice but to boycott the opening ceremony. 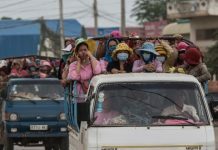 If Siphan’s definition of “value” denotes an economic measure, then the spokesman’s assertion appears misguided, as well over 40 percent of Cambodia’s exports go to the E.U. and more than 20 percent to the U.S.
Human rights groups have called on the E.U. to review the duty free status it accords to Cambodian exports, but, except for a handful of strongly worded statements and resolutions, no concrete action has been taken to date. The U.S. response has been significantly more robust. 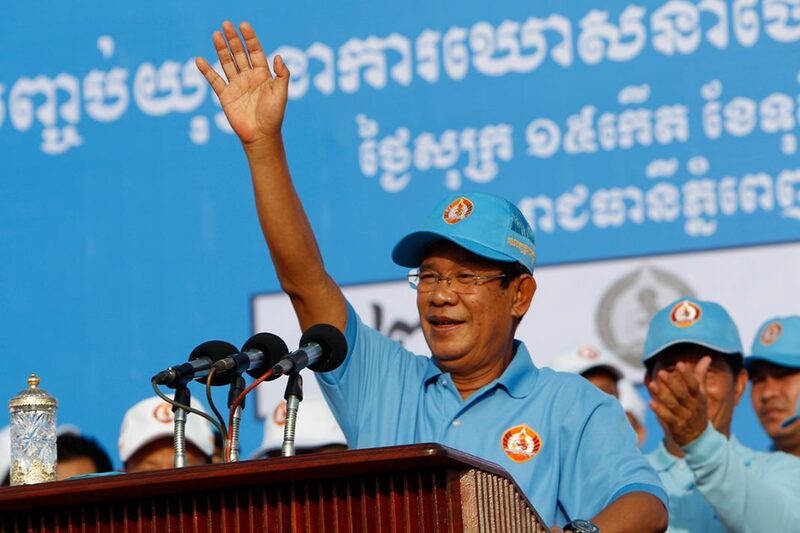 Last month the U.S. State Department restricted visas for a number of high ranking government officials, and in July the House of Representatives passed the Cambodia Democracy Act of 2018 that targets Hun Sen’s children and other wealthy members of his inner circle. The act now needs to be taken up and passed by the U.S. Senate, a move unlikely to happen in this current session because a counterpart bill has yet to be drafted. But the unexpectedly rapid and bipartisan path the bill took through the House of Representatives increases the odds it will be reintroduced in the new Congress that convenes in January 2019. If and when the Cambodia Democracy Act is passed by the Senate and signed into law by U.S President Trump, its impact on its targets will be far greater than the simple denial of U.S. tourist visas. 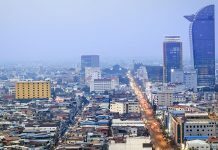 The main effect of the Cambodia Democracy Act would be to freeze its targets—termed “Specially Designated Nationals“ (SDNs)—out of the formal international banking system. And given that 96 percent of the world’s dollar transactions are ultimately cleared through two US institutions—the Clearing House Interbank Payment System and the Federal Reserve’s Fedwire Funds Service—it would be nearly impossible for those targeted by the sanctions to avoid their effect. By way of illustration: a person with an ACLEDA account who withdraws money from a Vattanac Bank ATM in Phnom Penh is ultimately conducting a transaction through New York City, as that’s where virtually all banks clear settlements with one another. This system give the U.S. enormous leverage over banks and credit card issuers everywhere, as the penalty for willfully violating sanctions can run into the hundreds of millions of dollars. Until June there were only two SDNs in Cambodia, both of whom are not Cambodian. One is Goto Tadamasa, a Japanese yakuza leader now retired to the monkhood with an address in Cambodia. The other is a Kuwaiti-based Islamic charity with a branch in Cambodia that has been sanctioned for passing funds to Al-Qaeda. 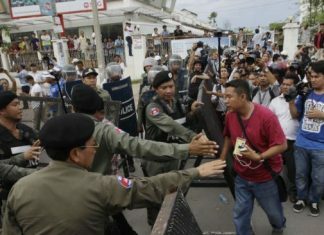 In June, General Hing Bun Hieng, the head of Hun Sen’s Bodyguard Unit, became the first real Cambodian to be hit with SDN status. The designation stemmed largely from his unit’s probable involvement in the 1997 grenade attack against a Sam Rainsy rally that killed 16 and wounded over 100, including a U.S. citizen. A trip to his nearest ATM might cause him to think differently.